Press Corporation PLC is a member of the UN Global Compact Network and, by signing up, has endorsed the Global Compact Principles in terms of the Group’s operations. Conglomerate Press Corporation Limited (PCL) took advantage of the World Aids Day commemoration event to donate various items worth K1 million to Bangwe HIV/AIDS Self Initiative (BAHASI) which looks after people living with the HIV virus, Orphans and other vulnerable children. Conglomerate Press Corporation Limited (PCL) on November 25, 2013 donated hospital beds for the maternity wing of Monkey-Bay’s Community Hospital in Mangochi. PCL Group Operations Executive Pius Mulipa said the donation of the 10 beds was a start of a relationship with the hospital and indicated that more assistance in the areas of need identified by the community hospital would be considered in future. Press Corporation Limited continues to support the United Nation’s Global Compact’s 10 principles. Our commitment to these principles remains solid as we continue to strive towards maintaining the highest possible reporting standards in respect to business practices. 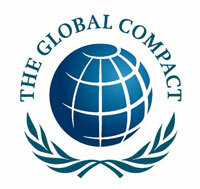 Our board fully supports our actions in working towards the sustainability goals of the United Nations Global Compact. The annual COP report submitted to the United Nations Global Compact assists us in keeping track of our progress towards achieving the principles and also to map the way forward for the future. Water is vital to our business, as is the sustainability of the environment in which we operate. Carlsberg Malawi engages with communities on issues of water and the environment through projects such as tree planting, as a way of protecting source water and the environment. In addition, the company has waste water treatment plants in two of installed at two of its bottling sites- Mzuzu and Lilongwe. These major investments demonstrate Carlsberg Malawi’s commitment to water and environmental issues. In recognition of its social responsibilities, Press Corporation Limited is involved in social investment directly through the Corporate Head Office and indirectly through its subsidiary and associate companies, and makes donations in cash and in kind to organisations involved in serving the less privileged members of the community. Following a donation of MK20 million that was made to a private hospital in the previous year for it to acquire a dialysis machine, the hospital now has a fully equipped and operational dialysis unit that is serving the local community as well as patients from other parts of the country. Press Corporation Limited is committed to developing operational policies to address the environmental impact of its business activities by integrating pollution control, waste management and rehabilitation activities into operating procedures. To ensure environmental management sustainability and as a continuation of the “Going Green” campaign, the Company has partnered with environmental experts including the local authority and the University of Malawi’s Polytechnic to tackle issues of deforestation, pollution and waste management in the communities in which it operates. The programme includes greening the City of Blantyre by planting as many trees as possible especially along river catchment areas and tackling sewer effluent in the river systems to provide the communities with safer and cleaner water. Members of staff are encouraged to “reduce, re-use and re-cycle” paper. All waste paper is shredded and donated to a local re-cycling organisation. Press Corporation Limited has an HIV/AIDS Policy whose core objective is to promote the Company’s responsibility for providing a healthy and equitable work environment for all employees, including those with HIV/AIDS. Members of staff at the Press Corporation Limited clinic have been trained to provide the appropriate counselling to employees who are diagnosed HIV positive. The clinic is fully equipped to provide free anti-retroviral therapy to employees of the Group, and on payment of a nominal fee, to the general public. This latter service to members of the general public is provided primarily as one way of fulfilling some of its social responsibilities. Press Corporation Limited awards a cash prize to the student who completes the final stage of the ACCA programme at the Malawi College of Accountancy with the highest marks in the Strategic Financial Management paper.